After arrival, you’ll meet with our guide for a short introduction to Laos. Dinner and Overnight in a hotel. 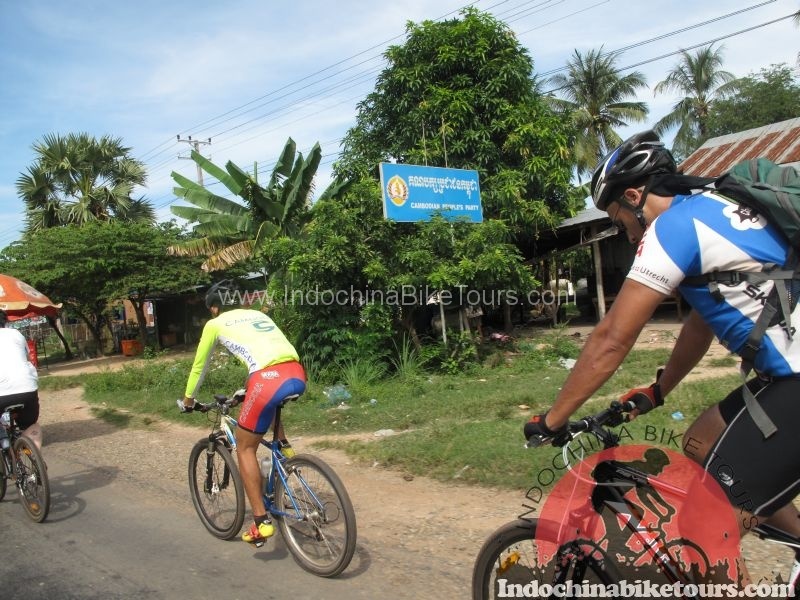 Discover the highlights of Vientiane on a bike. You will see the Wat Si Saket, the famous Ho Prakeo, Wat Si Muang and the symbol of Laos – the That Luang – as well as the Patuxai and the Morning Market. On this short city cycle tour through Vientiane you get your first insight into Laos. Overnight in a hotel. You’ll leave Vientiane heading north through the suburbs. After a few kilometers on the National Road 10, you’ll head onto dirt roads, passing through many villages and the real countryside. The Lao Pako Eco Resort is magnificently located along the of the Nam Ngum River. Overnight in an Eco-Resort. The first stage of this day will bring you and your bike on dirt roads through undiscovered countryside. At Ban Nampheng we continue on a smooth tar road to Nam Ngum Lake. The last stage of this day begins to get hilly and features some short climbs. You stay overnight at the Long Ngum View Resort, which has stunning views over the Nam Ngum Lake. Overnight in a resort. You’ll travel by boat 1.5 hours across the Nam Ngum Lake from Thalat to Tha Heua, giving you a chance to appreciate this enormous artificial lake and the life in and around it. 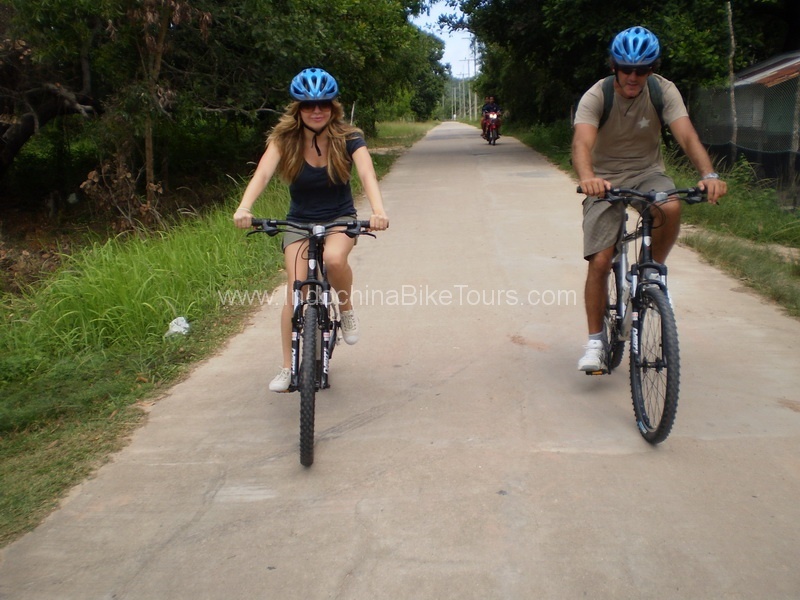 From Tha Heua you’ll start cycling to Vang Vieng. 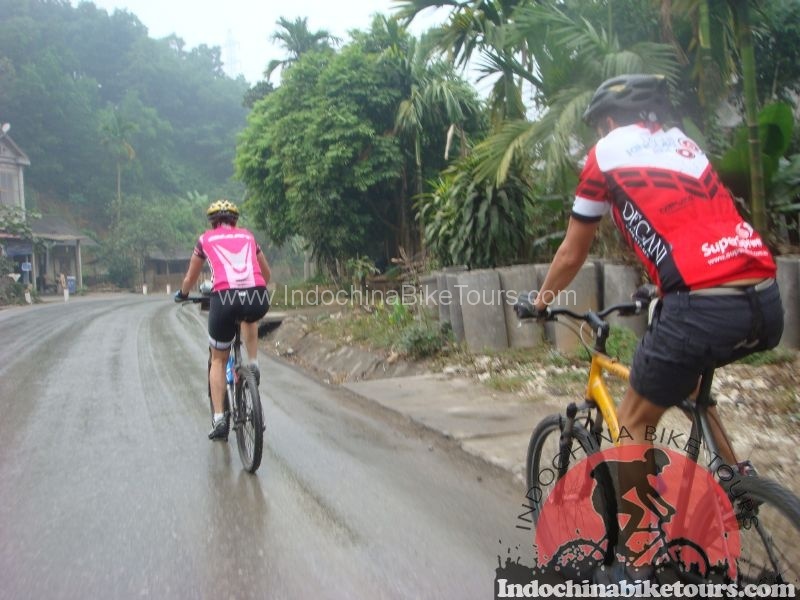 Depending on the season, you can choose between 25 or 40 km cycling to Vang Vieng. There, you’ll stay in a comfortable resort along the banks of the Nam Song River, with stunning views over the limestone mountains. Overnight in a resort. You can explore the area around Vang Vieng by bike, or you can opt for an easy kayak trip on the Nam Song River, which offers a unique perspective of the bizarre local landscape. Some great hikes are also easy to arrange in this area. (Kayaks not included). Overnight in resort. Today, you’ll pass through amazing scenery from valley to valley. Have a stop at the nearby rivers and take a dip or discover one of the nearby caves, which are advertised along the road. Overnight in a guest house. After an initially flat 10 km, the road climbs up the mountains for more than 20 km. The scenery is amazing. Half way, you will have a break in Phou Khoun Village. After Phou Khoun, the road rises and falls between 1100 and 1400 meters. Still, amid the great panorama the ride takes less effort. Take your time to stop in the villages and meet the hilltribe people. You stay overnight at a altitude of 1350 meters in Kiu Kacham. Overnight in a basic guest house. After a great descent to Nam Ming, a long but smooth climb will bring you for the last time over 1000 meters altitude. Another descent will bring you to the scenic valley of Ban Xiang Ngeun. 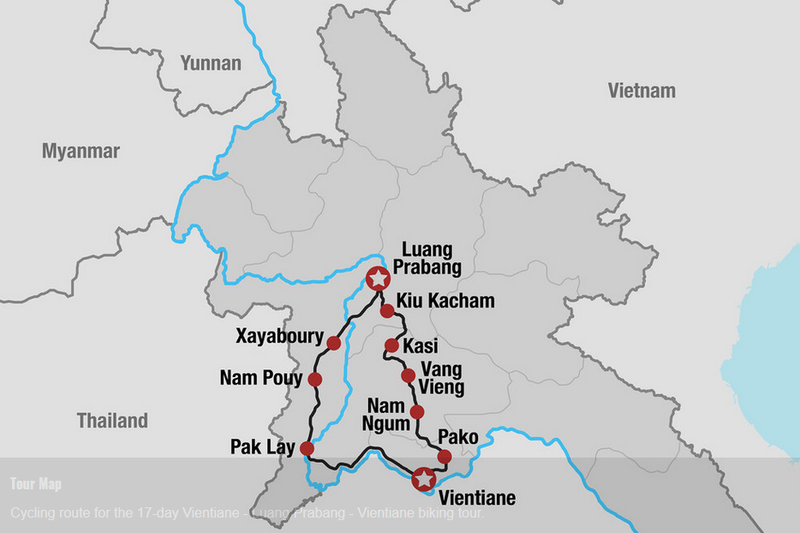 From here, it’s an easy ride to the former capital of Laos and UNESCO World Heritage town, Luang Prabang, located on a peninsula formed by the Mekong and the Nam Khan River. Luang Prabang is on this particular bike tour the perfect place for a few days of relaxing and discovering the scenic area around town. Overnight in guest house in Luang Prabang. 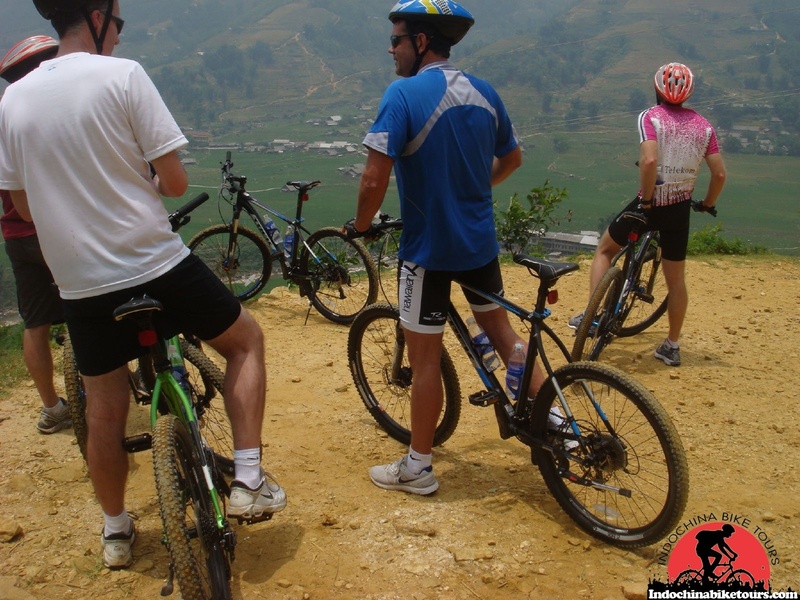 Today, enjoy a relaxed biking trip along the most interesting places in the city and around the valley of Luang Prabang. Discover some non-touristic places nearby the town. Overnight in guest house. The scenic Kuang Si Waterfall is the main destination for today. On the way, we pass by some villages from different ethnic groups. 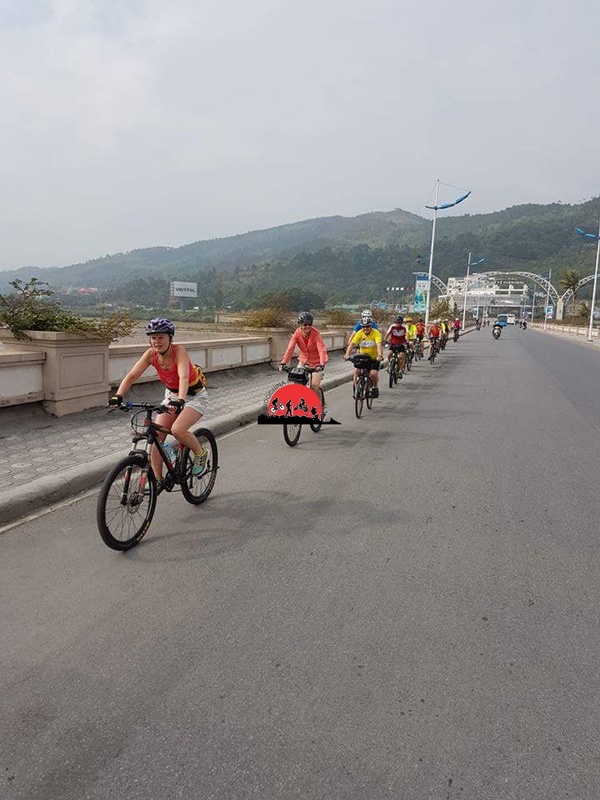 After swimming and relaxing at the waterfall, you can cycle back on the same road or take a Mekong riverboat back to Luang Prabang (boat trip on Mekong River is optional). Overnight in guest house. Leaving Luang Prabang on a dirt road, you will first visit the tomb of Henri Mohout, the Frenchman who discovered and showed Angkor Wat to the western world. Continuing on a dirt track, you can visit the Tiger Trail Elephant Camp, located along the bank of the Nam Khan River. 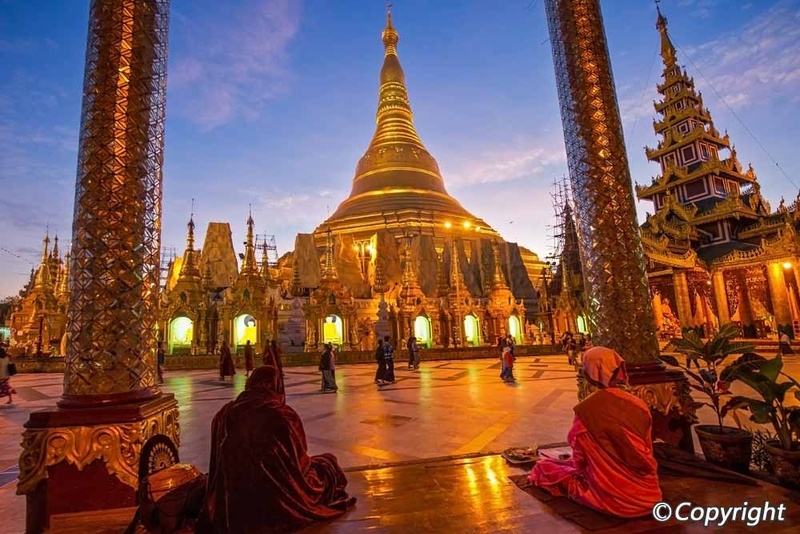 From here, you’ll head south to Xieng Ngeun Village, where you leave the beaten track to take a dirt road into the undiscovered Sayabouly Province. You stay overnight in a comfortable resort nearby the Kacham Waterfall. Overnight in resort. Continuing on dirt roads, you pass several hill tribe villages and have to climb several minor passes before crossing the Mekong River by ferry at Tha Deua. After Tha Deua, it’s another 30 km to the capital of the province, Xayaboury town. The town is located in a wide valley with some great views over the surrounding mountains. Overnight in hotel. You’ll start with an easy ride to the little town of Nam Pouy, located on the border of the Nam Phoun Protected Natural Area. This protected area has the biggest population of wild elephants in Laos. Also, some small tribal groups remain in those jungles. These are the yellow leaf people, who build their shelters using banana leaves — when these turn yellow, the people move on to another place. Overnight in guest house. A long day cycling with a lot of short climbs and ascents from valley to valley, with great view of the dense forests of the National Protected Area, Nam Phoun and the chance to see wild Elephants. Halfway, you can visit a local Hmong market. Pak Lay is a small laid-back town with some nice French colonial buildings, located along the banks of the Mekong River. Overnight in guest house. Transfer by air-con minivan to Vientiane. Farewell dinner Overnight in a hotel in Vientiane. The last chance for some shopping at the Morning Market or hang around along the banks of the Mekong. Note: This tour may start in Luang Prabang.